Take advantage of some high-minded rest and relaxation. The discovery of cannabinoids and their non-psychoactive properties has opened up new worlds to those who were once completely against the use of cannabis, including the marvelous measure of CBD massage. By isolating that particular cannabinoid or by growing cannabis/hemp with a high-CBD, low-THC content, important options arise for those simply looking for relief. A CBD rubdown might be just what the doctor ordered. One thing that really sets CBD apart, aside from its health benefits, is its availability. Though all components of the cannabis plant are considered illegal at the federal level in the U.S., CBD is carried in headshops, gas stations and mom-and-pop stores across the nation. 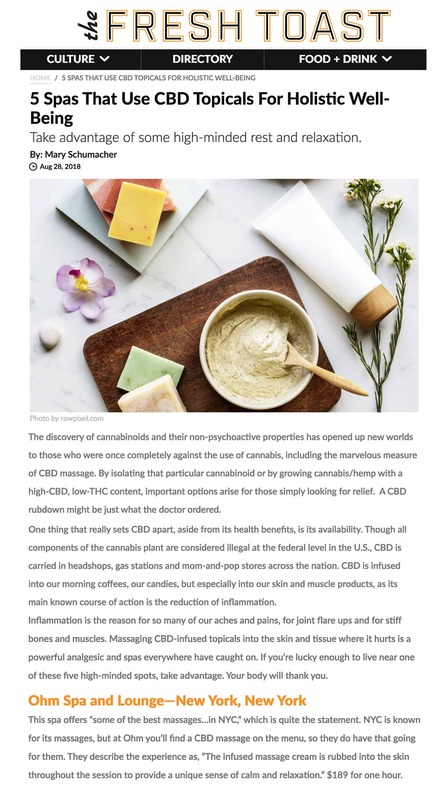 CBD is infused into our morning coffees, our candies, but especially into our skin and muscle products, as its main known course of action is the reduction of inflammation. Inflammation is the reason for so many of our aches and pains, for joint flare ups and for stiff bones and muscles. Massaging CBD-infused topicals into the skin and tissue where it hurts is a powerful analgesic and spas everywhere have caught on. If you’re lucky enough to live near one of these five high-minded spots, take advantage. Your body will thank you. This spa offers “some of the best massages…in NYC,” which is quite the statement. 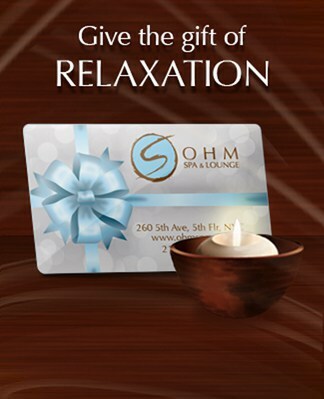 NYC is known for its massages, but at Ohm you’ll find a CBD massage on the menu, so they do have that going for them. They describe the experience as, “The infused massage cream is rubbed into the skin throughout the session to provide a unique sense of calm and relaxation.” $189 for one hour.